Designing an outdoor space where our clients will truly LIVE is what our landscape designers do so well. 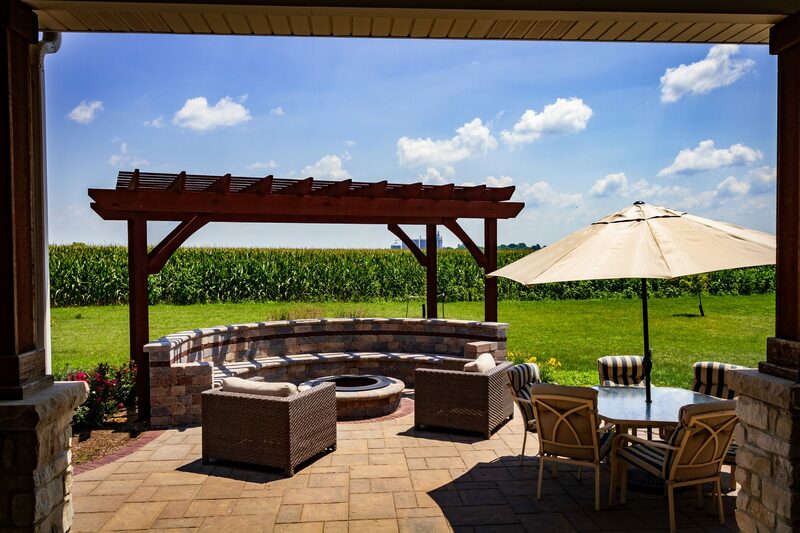 Whether it is a functional and beautiful outdoor kitchen, a pergola covered patio, or a custom fire pit, we have an extensive portfolio of projects. It starts with meeting clients to find out what they want in an outdoor space. Then we create a proposal with complete landscape design schematics and a 3-D model to help clients visualize the project and make decisions about both hardscapes and softscapes. Once we move forward with a project, it’s just a matter of time before we get to the best part…seeing clients enjoy their beautiful outdoor living space. We help our clients find the right materials for the foundation of a living area to create a beautiful space that will function into the future. Why spend the party inside cooking when you can join the party in your outdoor kitchen? We custom design kitchens for how much space you have available and how you like to cook. There’s nothing better than sitting around a fire with friends and family on a chilly evening! We offer a variety of options for fireplaces and fire pits that fit nearly any budget and aesthetic. Want to use your outdoor living space day or night? Then you want built-in lighting options! We have solar and electric options to create the ambiance you’re looking for. They offer shade on a warm day and stunning architectural beauty. We build pergolas with a variety of designs and materials to complement any outdoor living space.